The United States Congress consists of two separate legislative bodies: the House of Representatives and the Senate. Jointly these two separate legislative bodies are referred to as “Congress”. 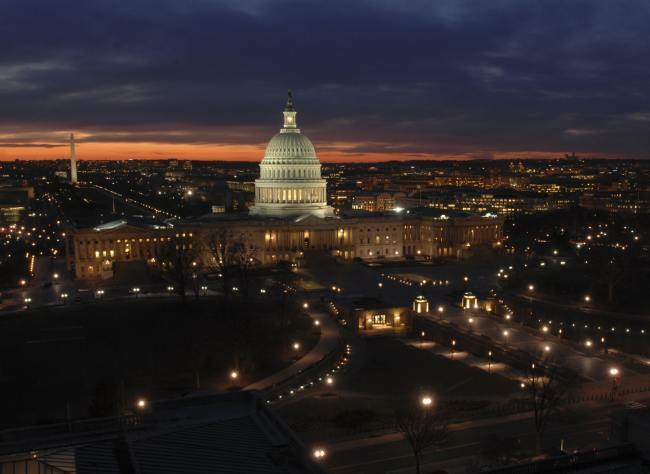 Congress meets in the United States Capitol building. Article. I. Section. 2. establishes the House of Representatives, and Article. I. Section. 3. establishes the Senate. The size of the House of Representatives, currently 435 members, is set by the Constitution (“The Number of Representatives shall not exceed one for every thirty Thousand, but each State shall have at Least one Representative”), and by the Apportionment Act of 1911 (2-page PDF ) (62nd Cong, Sess. I, Chap. 5, H.R. 2983, Pub.L. 62-5, August 8, 1911), in effect since 1913, which established a limit of 433 and allowing for the addition of 2 more seats when Arizona and New Mexico were admitted into the Union in 1912. How the 435 seats are allocated among the states is determined after each decennial census in a process called “reapportionment,” 2 U.S.C. § 2A. The size of the Senate, currently 100 members, is established by the Constitution (“The Senate of the United States shall be composed of two Senators from each State….”). The current political composition of Congress is available at CongressByTheNumbers.com. In the Constitution and in some documents and usage, these two separate bodies are referred to as “the two houses of Congress” or “both houses of Congress”. To avoid confusion, we prefer to use “two chambers of Congress” or “both chambers of Congress” rather than the more formal usage. The other body: When members of the House and House staff speak of “the other body,” they are speaking of the Senate. When members of the Senate and Senate staff speak of “the other body,” they are speaking of the House. A “Member of Congress” (MOC) can be a member of the House or the Senate. At the national level there is only one legislative body formally known as the “House” and that is the U.S. House of Representatives. Currently the House has 435 members, and its members are called “Representative” (Rep.) or, colloquially, “Congressman” or “Congresswoman“. Currently, there are 100 members of the U.S. Senate, and each member is called “Senator“. Each “Congress” lasts for two years and is numbered as a “Term” of Congress. For example, the Congress meeting between January 3, 2017 and January 3, 2019 is the 115th Congress. Each term of Congress is divided into two Sessions, each session lasting one year. Being “in session” refers to when Congress is meeting during the session. For a table showing the terms of Congress from 1789 to the present, see TermsofCongress.com. For a short list showing the major differences between the House and the Senate, see CongressByTheNumbers.com. In the House, the presiding officer is the Speaker of the House (Article I., Section 2.). Often, a member of the House from the majority party in the House serves as the House’s presiding officer. 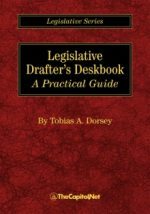 When Representatives are speaking on the House floor, the form of address for the presiding officer depends on whether the House is sitting as the House (“Mr. Speaker” or “Madame Speaker”) or as the Committee of the Whole (“Mr. Chairman” or “Madame Chair”). — Ambrose Bierce, The Devil’s Dictionary.